The winner is logic! Great book, well told. This is a story about challenging conventional wisdom and almost pulling it off, the central figure, Billy Beane, was the embodiment of what baseball scouts loved as a player but after a mediocre career Billy clearly has a different perspective on his own failings than his coaches and peers did. understanding of baseball", whilst professional baseball continues with it's traditional methods as wage bills rocket and the gap between rich and poor clubs increases. 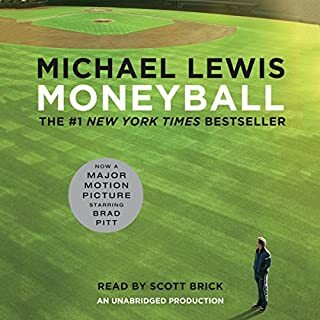 Moneyball ties these two stories together into the career of Billy Beane as general manager of the Oakland A's and is kind of a novel, biography and history book rolled into one with a dash of psychology. The clash of culture and cognitive biases against the objective tools employed by Beane and his aides is told in such a manner that you want the cold hearted logicians to win! The narration is excellent, and although some of the players stories are more interesting than others when the story centers back on Beane the book is very good. Would you try another book from Bryan Burrough and/or James Jenner? I really enjoyed the narration from James Jenner, often some of these audio books are monotone in delivery but he really conveyed the character of the people discussed in the book. 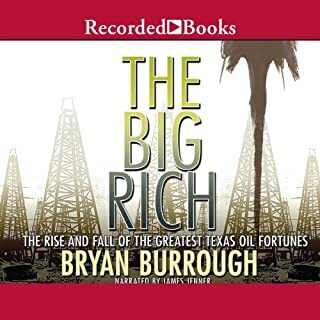 The historical perspective and story telling is the strongest part of Burrough's writings and although I'm not particularly conservative myself I found political and character analysis the weakest part of the book. Not to undermine that I appreciate the great effort of the writing, however I think at least for the audio format the story became too long and felt a little rambling. 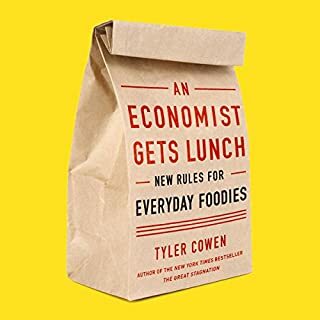 Food snobbery is killing entrepreneurship and innovation, says economist, preeminent social commentator, and maverick dining guide blogger Tyler Cowen. Americans are becoming angry that our agricultural practices have led to global warming-but while food snobs are right that local food tastes better, they're wrong that it is better for the environment, and they are wrong that cheap food is bad food. The food world needs to know that you don't have to spend more to eat healthy, green, exciting meals. At last, some good news from an economist! What did you love best about An Economist Gets Lunch? The book challenges you to think about how food businesses work, and how you make your choices about where to eat. Essentially the idea is to apply some economists principles where to find good food. Consider when you're paying the bill, is it for the location or the view, or the cost to source the ingredients for the particular cuisine and by proxy explains why food in tourist heavy locations is usually not too great. You have to take some advice with a pinch of salt, for example the axiom that if a restaurant has a surplus of attractive women you shouldn't expect good food, the point being that perhaps a place is more about being seen at rather than about the food. However, this is a book for foodies and I get the impression that the holy grail is the undiscovered, inexpensive and wholly authentic exotic restaurant in a suburban strip mall, which is to say that part of the fun of eating out is discovery. On the contrary to another review, I loved the in depth discussion about barbecue and why by it's nature isn't as commercialized as other American cuisines, and the passion for Mexican food makes me want to take a trip across the border. What aspect of Stephen Hoye’s performance would you have changed? I would have preferred a more conversational style, the presentation felt rather formal for the material. Most food criticism tells you directly where is the best place to eat, but the problem is that either the selection of good places is either rather stagnant, or the information becomes out of date or is vastly expensive or elite. So this book is different, book it is indirect in it's advice. I'm pretty sure that if you follow all the rules you are not guaranteed to find great food, but it has helped me to think different and explore beyond Yelp and media reviews. 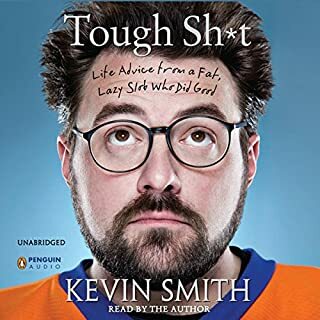 Kevin Smith is a funny guy and loves to talk so it's no surprise that he narrates this book and he does it well. If you're a fan looking for anything new I doubt you'll find it here as if you've listened or watched his Q&A shows and podcasts this book is pretty much the same thing, which is not a surprise but I might of hoped for more new material.